Metaphysical realism holds that the structure, properties and laws of nature exist independently of consciousness. Relativism holds the opposite: that they are contingent upon human consciousness. Neither alternative allows for an adequate epistemology for ecology. Cartesian realism, for example, depends upon a metaphysical distinction between mind and matter as two distinct substances that share no properties, and hence cannot be conceived as capable of causal interaction. How can a mind, which lacks size, shape, location and movement act on or be acted upon by a physical body that has all these properties? Cultural Relativism is the view that the truths of nature are culturally constructed and are therefore unavoidably subjective and relative to the minds of researchers. What counts as true and known, and as possessing value, may vary from culture to culture and from one historical period to another. Such “truths” are therefore not objective facts of nature—they tell us nothing about what mind and culture-independent nature is really like. Consequently, it is not possible to ground an ethical prescription regarding treatment of nature in objective facts of nature. 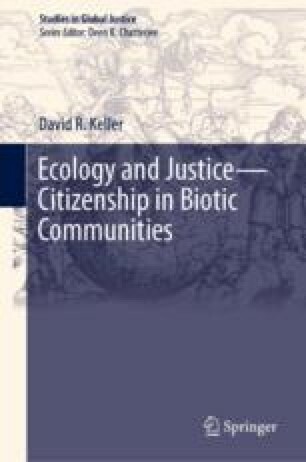 Nor is it possible to adequately explain how the structure and function of ecological systems can be established as objective. The phenomenology of intentionality solves these problems by positing the ontological unity of mind and matter, and welding the subjectivity of socially constructed knowledge and the objectivity of empirical data together.